Future Market Insights (FMI) recently published a report titled ‘5G Technology Market – Global Industry Analysis and Forecast 2018–2028.’ 5G technology will play a crucial role in supporting governments and public organizations in transforming cities into smart cities, and will enable citizens and communities to realize and participate in the socio-economic benefits delivered by an advanced, data-intensive, and digital economy. The increasing demand for improved network performance and reliability is driving the growth of 5G technology market. Moreover, significant growth in wired and wireless subscriptions as well as the number of internet users is creating potential opportunities for the growth of 5G technology market. FMI has segmented the global 5G technology market on the basis of technology, application, vertical, and regions. The global 5G technology market is projected to grow at a CAGR of 82.4% during the forecast period. In addition, the 5G technology market was valued at US$ 608.3 Mn in 2018, and is estimated to grow substantially to reach US$ 248,462.4 Mn by 2028, owing to the heavy investments by government and various key players in 5G technology. The US is expected to be the first country to introduce 5G technology, wireless applications and networks, as regulators pave the wave for rapidly growing next-generation services. In North America, enterprises such as AT&T Inc. and Verizon Communication Inc. are coming together to commercial 5G technology. Also, increasing number of initiatives by the government is boosting the growth of 5G technology market. For instance, in July 2016, the US government launched initiatives worth US$ 400 Mn to conduct research on 5G wireless networks. Also, the Government of Canada is strongly committed to boosting engagement in next-generation networking and 5G technology by opening an innovation ecosystem to accelerate the growth of ICT. Moreover, in enterprise application, the substantial adoption of advanced technologies, such as the internet of things and cloud solutions, is expected to boost the adoption of 5G technology by transforming the focus from consumer-centric cellular coverage to more machine-centric communications. Moreover, in the beginning of 2018, 5G technology has launched in the specific regions of GCC countries, and large-scale commercial roll outs are expected in commercial areas by 2020. It has been observed that, in the European region, countries such as Germany, France, and the UK are leading the research that is being conducted for the commercialization of 5G technology. Enterprises such as Deutsche Telekom, Vodafone, and Ericsson are testing various frequency spectrums and advanced technologies to deploy 5G technology efficiently. Moreover, these enterprises have launched customer trails in several geographical areas which will form the base for 5G technology. In June 2017, Belgium BASE signed a partnership agreement with ZTE Corporation, a telecom equipment provider based in China. The main objective of this partnership is to conduct research on LTE advanced, Internet of things, and 5G technology. According to FMI analysis, providers of 5G technology and telecommunication services are focusing on collaborating with each other to increase their revenue share as well as reach new potential markets. For instance, in July 2018, T-Mobile and Nokia announced a US$ 3.5 Bn agreement to accelerate the deployment of a 5G technology and networks across the U.S. According to the agreement, Nokia will provide its end-to-end 5G technology, software, and services portfolio to T-Mobile, which will assist the latter in bringing the 5G network to the market for customers in the critical first years of the 5G technology cycle. 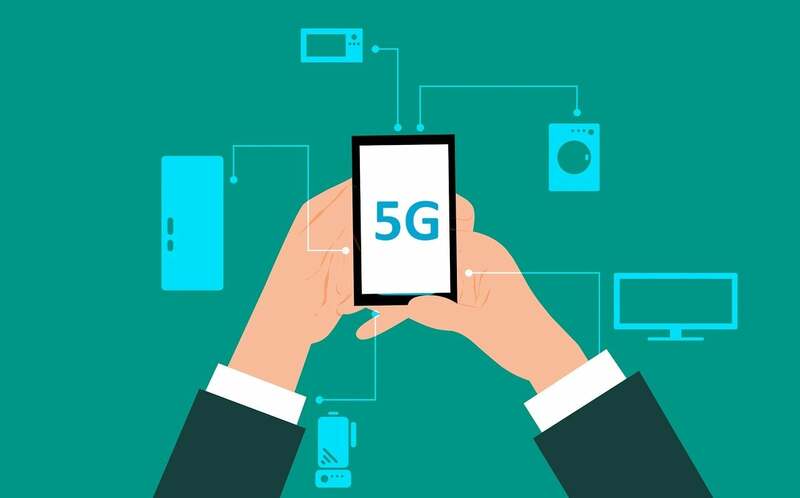 Some of the other key players in the 5G technology includes Ericsson, Telecom Italia, AT & T, Inc., Huawei Technologies Co., Ltd., Orange S.A., China Mobile Limited, KT Corporation, Qualcomm, and Verizon Communications, Inc.